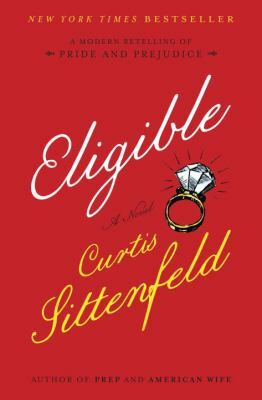 Eligible is Iowa Writer’s Workshop graduate Curtis Sittenfeld’s fifth novel. 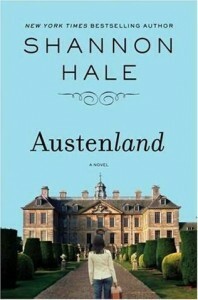 It is a hilarious modern version of the classic story Pride and Prejudice by Jane Austen. In Eligible, we find that the Bennet family lives in Cincinnati, Ohio. All five of the Bennet women are currently living at their parent’s home after their father’s recent heart attack. Jane and Elizabeth have both been living in New York City. Jane is a yoga instructor and lives on the Upper East Side. 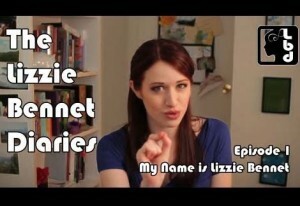 Lizzie has been writing for feminist fashion magazine and lives in Brooklyn. Mary has never left home and is working on her third online master’s degree. Kitty and Lydia also live at home and spend most of their time at CrossFit workouts. Mrs. Bennet is consumed with her ladies’ clubs and galas. Of course, as in the original novel, Mrs. Bennet is very concerned with her daughters being married. The Bennet family goes to a Fourth of July picnic, where they meet Chip Bingley. Mr. Bingley was recently the star on the television show, Eligible which is a dating show where 25 women try to convince the star to marry her. Also at the picnic, is Fitzwilliam Darcy whom Lizzie does not find charming. But first impressions can be wrong. An updated and hilarious version of the classic Pride and Prejudice. 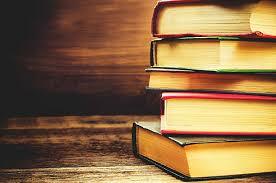 You will find yourself laughing out loud while reading this book. Available in print, large print and audiobook. Parodies, continuations and alternate universe settings of Jane Austin’s books have become very popular – mysteries, vampire hunters, etc. – with a greater or (more often) lesser degree of success. 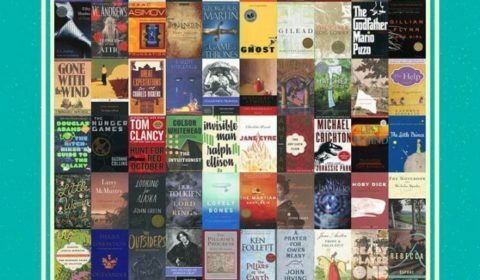 Now there is a new version using the world and characters Austin’s Pride and Prejudice and it is delightful and beautiful and very much a great success. 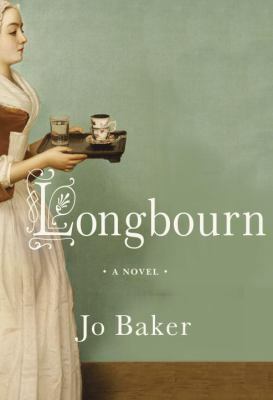 Longbourn by Jo Baker follows the story of Pride and Prejudice from the the servants point-of-view. As were good servants in real life, the servants in Austin are mostly silent and unseen. Here they take center stage. They have their own dramas and crisis, joy and heartbreak and a unique, decidedly unglamorous view of the family. The Bennett girls, both thoughtful and frivolous, only rarely acknowledge the servants and the extra work they often unnecessarily create for them (except for sweet Jane who is always undemanding and kind), and offhandedly change the servants lives without consulting what they might wish. Although they are the center around which the servants orbit, the Bennets are regulated to the periphery here and the world of the servant is foremost. The work is physically hard and mind numbing dull, yet for most of the servants their place in the household gives them shelter, both physical and emotional, from a cruel world. Sarah, orphaned at a young age, is grateful to have a place at Longbourn, yet wonders if she can again find the happiness she remembers before her parents died. Her suspicions of James the new footman gradually change and when she discovers his secret, they become bound by love and a common understanding of those who are alone. Longbourn is beautifully written – you may find yourself stopping frequently to reread favorite passages – and full of compassion and secrets. James’ story is especially heartbreaking and suspenseful. At heart a love story, Longbourn is also about the restrictions imposed by society and class structure, about what we are willing to sacrifice for those we love, about the power of waiting and standing firm, about finding your own path no matter the obstacles. But I had no idea she was a highly trained zombie-killing Ninja!!! It appears that Jane Austen may have left a few things out when she was showering her irony, wit and passive social consciousness all over the story of the five Bennet sisters and their adventures in society…for example: ZOMBIES! According to author Seth Grahame-Smith, the militia stationed at Meryton had a very specific reason to be there–to protect the village from a coming Zombie Attack. However, the officers really aren’t necessary because the Bennet sisters, particularly the two eldest, are known all over the countryside for their skills in kicking zombie butts. Other than that, the story strays little from the original Pride and Prejudice plot. Well… except for Mr. Darcy’s knack to crack inappropriate jokes. Yes, the author seems to have loosened up Mr. Darcy quite a bit, although in return Miss Lizzy is a very violent-hearted ice queen. Pride and Prejudice and Zombies is more of a parody than a retelling, so those looking to be swept up in Regency romance and wit will not find it. I found myself reading it more to see how Grahame-Smith incorporated zombies into the plot then for the actual story. Expect a little gore and a lot of Jasper Fforde-esque humor. More of a swamp thing than a zombie person? Check out Seth Grahame-Smith’s Sense and Sensibility and Sea Monsters! It is a truth univerally acknowledged that Mr. Darcy is dreamy. I admit it. I am definitely one of those girls who watches the BBC presentation of Pride and Prejudice starring Colin Firth as Mr. Darcy over and over and over again. I also watch Bridget Jones’ Diary starring Colin Firth as Mr. Darcy over and over and over again. 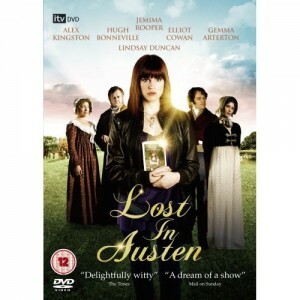 In fact, a good majority of my favorite movies are a version of the Jane Austen’s classic. Why watch anything else when you can watch Mr. Darcy (especially when that Mr. Darcy is played by Colin Firth)? Bride and Prejudice is Pride and Prejudice gone Bollywood, and it is FANTASTIC. Aishwarya Rai, Bollywood actress and former Miss World, is absolutely stunning as the Elizabeth Bennet character. So Colin Firth will always be my favorite Mr. Darcy, but after seeing James McAvoy as Tom LeFroy, the man who may have inspired the Darcy character, he became my favorite actor. Swoooooon. FAVORITE! I went through a phase in college where I watched this movie about once a week, now I watch it about once a month. Renée Zellweger is BRILLIANT as Bridget Jones and Colin Firth is DREAMY as Mark Darcy. Laugh laugh tear giggle swoon laugh. By far THE BEST straight-up movie version of Pride and Prejudice. Some may be daunted by the six hour viewing time, but I say the longer the better (I have been known to watch it twice in a row…).